That's unexpectedly beige. 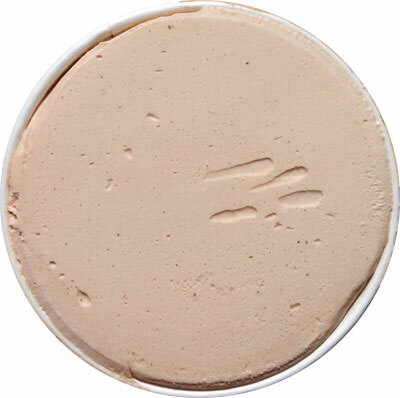 It's a very light beige and basically looks like coffee ice cream. I take my first bite and I'm all like "hmmm". I take my second bite, and yeah, I like this one. It's cheezy, but not too cheezy. It's a very sweet cheese flavor and it works really nice. I take several more bites and still no brownies, but I'm really enjoying the base here. I don't mean this as an insult, but it's almost like a cheesy frosty. It's really smooth, easy scooping, pleasantly melting, and I'm definitely enjoying every bite. Come here brownie brownie brownie. Where are youuuuuuu? I'm enjoying this but I was promised brownies. I'm guessing they would play great off the base... they sank to the bottom, right? Ok, in the freezer it goes. This is a fine ice cream, the sweetness and the smoothness come together very well, but it would be nice to see a brownie. I'm at least 25% in to this pint and there's no sign of them. On Second Scoop: With the revelation that Nick and others have bought BLVD pints basically devoid of mix-ins, I was pretty disappointed, but maybe my pint will be different.... yeah, no, no different. There wasn't a single brownie chunk in my pint. Not one. How does a company get away with this? Such a waste of a perfectly good base. 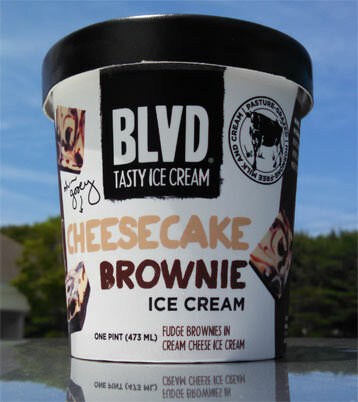 One of my favorite ice creams is B&J's cheesecake brownie ice cream. I would love to see cheesecake flavored ice creams make a come back. It seems that they missed the point of brownies! Maybe it is in the base not in a mix-in. If I got like that I would be pissed off. I demand chunks of mix-ins. I got the salted caramel flavor and I am 99% sure I did not get it at Whole Foods, but Marianos. It was ok, wouldnt buy again. That's quite a let down; especially at that price range. I am also looking forward to any reviews of Yuengling as my local market carries that and not much else. Heard that B&J's is coming out with a dairy free line in the future. Dubba, I thought of you because I remember that your little boy has an allergy but couldn't remember if it was dairy or wheat. Hope he gets to enjoy treats in some form! 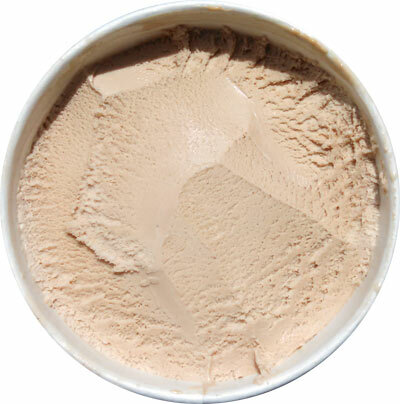 Are you planning to re-review the Blvd ice cream? See if it is same thing again with the lack of brownies. @Alek: i had no brownies, nick had no brownies, and several others had no brownies. Not sure there's a rush at $5.49 a pint. We'll go back, but not anytime soon. BLVD is welcome to send samples to prove otherwise. I am just now finishing a pint of the BLVD "Banana Split" ice cream, which promises "chocolate chunks, candied peanuts, and strawberry jam". The container, which wasn't even quite full when I opened it, contained approximately five chewy peanuts and ZERO chocolate chunks. I suppose I can taste the strawberry jam in the ice cream, but it was almost uniformly beige much like the one you tried. Texture was pleasantly creamy (where it wasn't freezer damaged; thanks, Whole Foods) but the ice cream in the container is not the one described on the package. Glad this was on sale for $3.50; I'm not buying it again. I got the banana split and it actually had TOO much stuff in it. Like 5 peanuts and 2 chocolates in every bite. There's barely any ice cream it's just mostly add ins! The other thing I noticed is that it does not taste like banana at all...not even a tiny bit. And believe me I can taste even the tiniest hint of specific flavor since I am quite a food lover myself. There also was hardly any strawberry jam. On the other hand, their vanilla ice cream is to die for!! And I do not generally fancy vanilla ice cream!!! 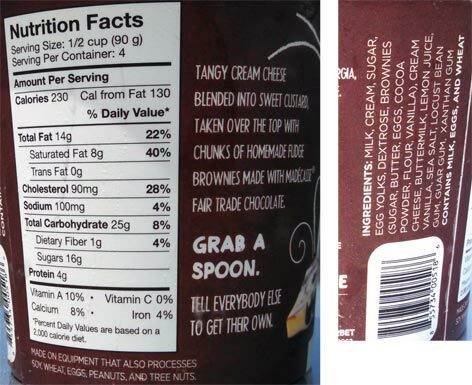 I hope they can get this issue sorted out as it sounds like they are having quite the inconsistency in their ice cream! @clancy: that's fine, but you can't say something has brownies and then not provide brownies. It's like buying a fresh gallon of milk that's only half full. Have not tried the "brownie" cheesecake, but the lemon cream is my "Go out of the way for" flavor. The texture and balance of sweet, creamy and tart is perfect. The banana split is mediocre. The peanut flavor overly dominates. Will try others. I eat lots of ice cream and caramels are my specialty. The dulce de leche-style BLVD was far inferior to Haagen Dazs' version. BLVD isn't creamy and rich. It's just "so so."